Migrating Your Myki Account To A New Phone. On your old phone, open Myki. Once in the Myki app, click on the "Settings" tab then scroll down and click on "Backup Items". You will be presented with two backup options (if on Android), click on "Backup To Computer". Click here for a step by step guide on how to do so. Once your data is backed up to your computer, go ahead and install Myki on your new phone. 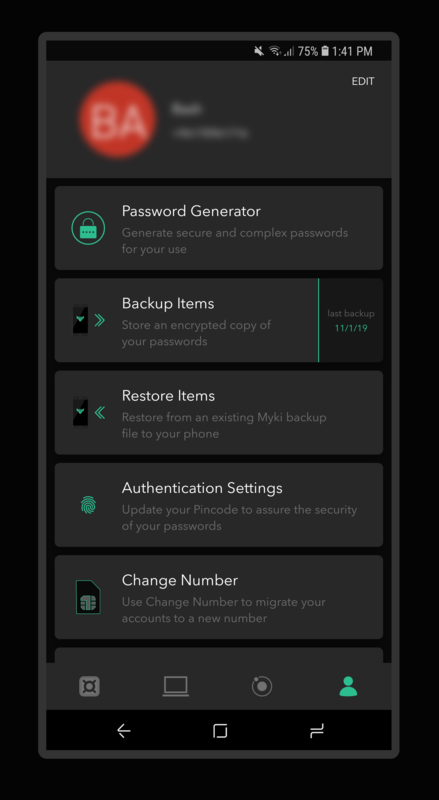 With a fresh install of Myki on your new phone, open the app and then restore your data from the previously made backup on your computer. All your data should now be available in the "Vault" tab of the Myki app. If you run into any issues while migrating your Myki account to a new phone, please feel free to reach out to our support team for assistance.